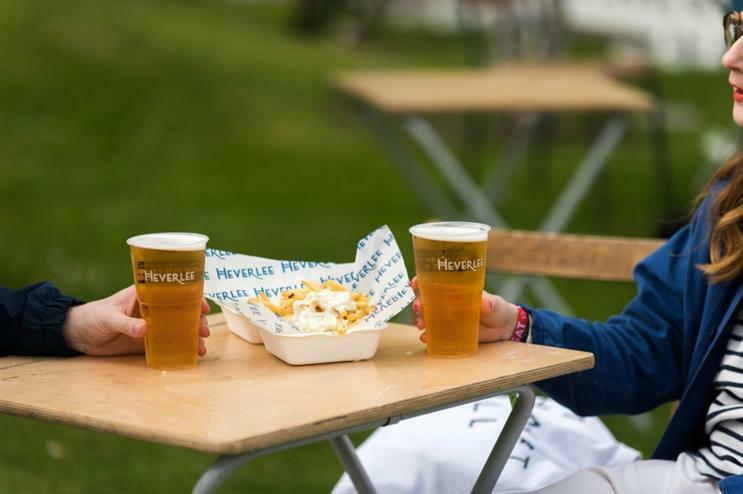 Belgian beer brand Heverlee is bringing a taste of Belgian 'frites' to the UK with a touring bar and friterie experience. Inspired by street food stalls in Belgium, global beer capital and birthplace of the fried potato, the fritierie has been fitted within a revamped storage crate to serve up gourmet fries with traditional toppings, alongside Heverlee’s Belgian Pils-style lager. The menu will offer Belgian steak-frites and a choice of other toppings, including bearnaise and hollandaise sauces. A beer garden surrounding the friterie aims to transport guests to the cobbled streets of Leuven, Heverlee’s hometown, where pavement cafes are commonplace. Le Fritour’s first stop will be the West End Festival Fiesta at Kelvingrove Park in Glasgow, taking place from 24-26 June. The fritierie and three additional Heverlee bars will pop up at the Billy Ocean, Sister Sledge and De La Soul gigs which will close Glasgow’s annual West End Festival over those three days. Joris Brams, master brewer at Heverlee, said: "Heverlee takes things back to basics, using some of the original techniques and quality ingredients which have helped Belgium become the beer capital it is today. Similarly, our touring friterie captures something simple, which is done brilliantly in Belgium. It makes sense to pair the two together." Ricky Scoular, West End Festival Fiesta organiser, added that the event is delighted to welcome Heverlee Belgian Beer as the official partner of West End Festival Fiesta. Le Fritour will pop up at a number of other events throughout the year, with a full schedule yet to be announced. Last month, Heverlee hosted a number of activations at the Electric Frog & Pressure Riverside Festival, including creating a beer garden inspired by Belgian street food vendors.